It has been a really busy week so I am a bit late getting this post out. 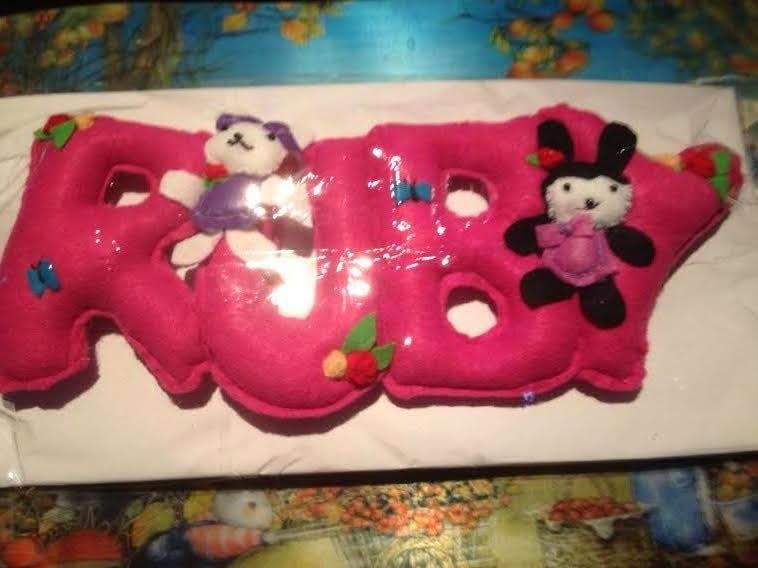 I have been busy sewing a birthday present for P:-)'s 2 year old granddaughter, Ruby. 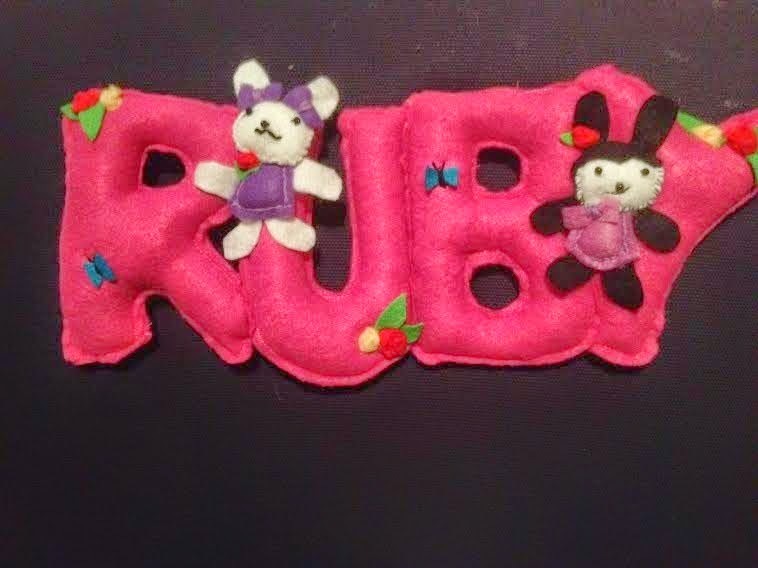 I made a felt name to hang on her wall. 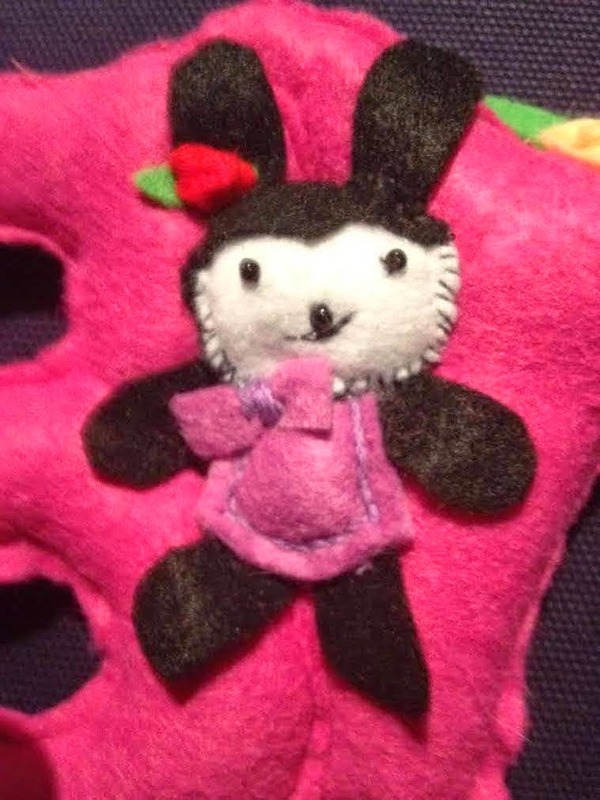 It took quite a bit of time to make the rabbits. I ended up having a really late night and early morning in order to get it completed. I packed it up in cellophane. 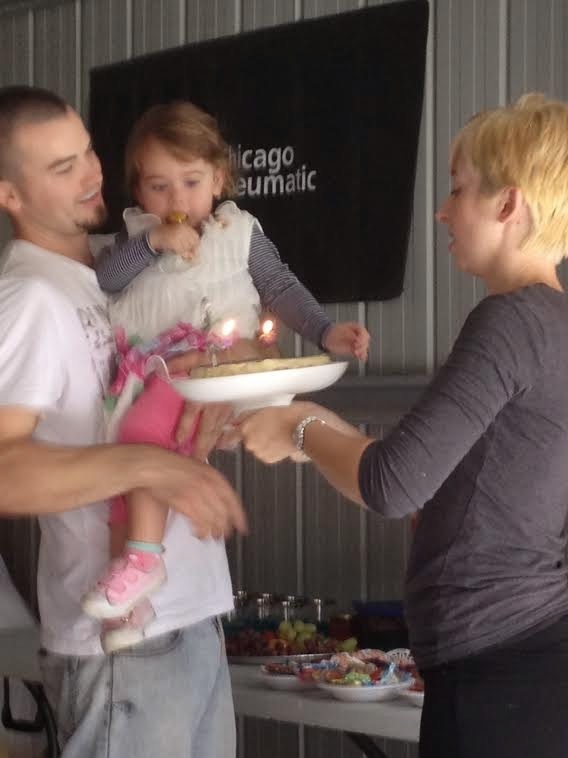 It was a fun party for the 5 children who attended Ruby's birthday party on Sunday. 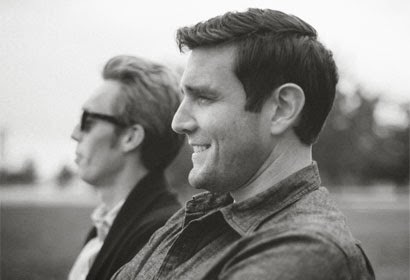 I don't usually post photos of people but I'm sure Ruby's parents wouldn't mind. 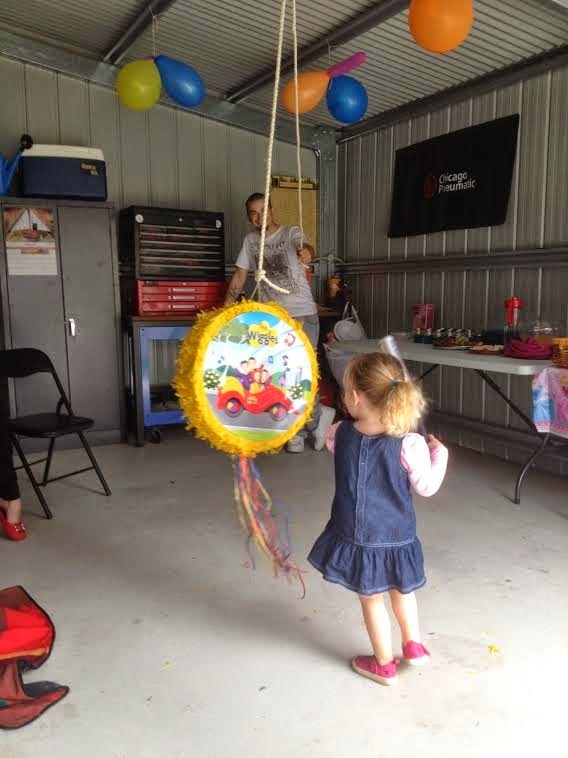 Everyone had a turn at swinging at the pinata with a baseball bat. 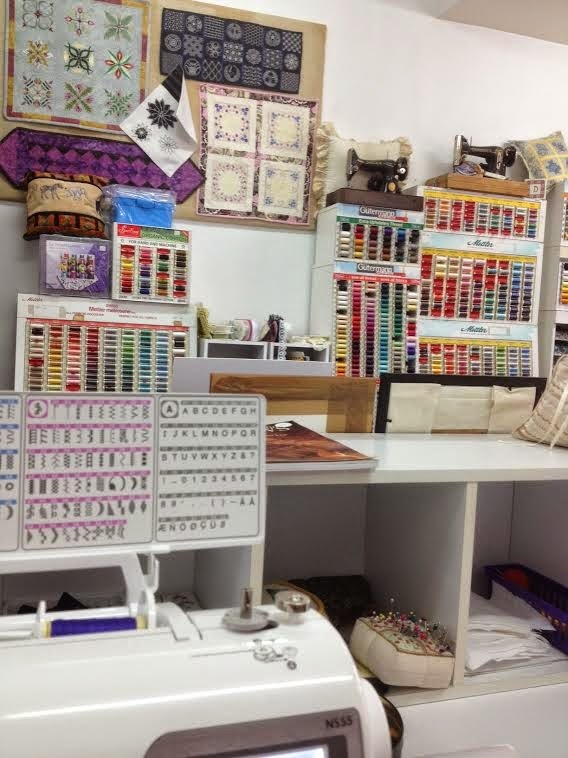 I had another sewing lesson at Vera's Sewing Machine Centre at Fairy Meadow and learned to make buttonholes ! I have been using a sewing machine close on 50 years - since I used to make dolls clothes for my Barbie Doll at the age of 10. 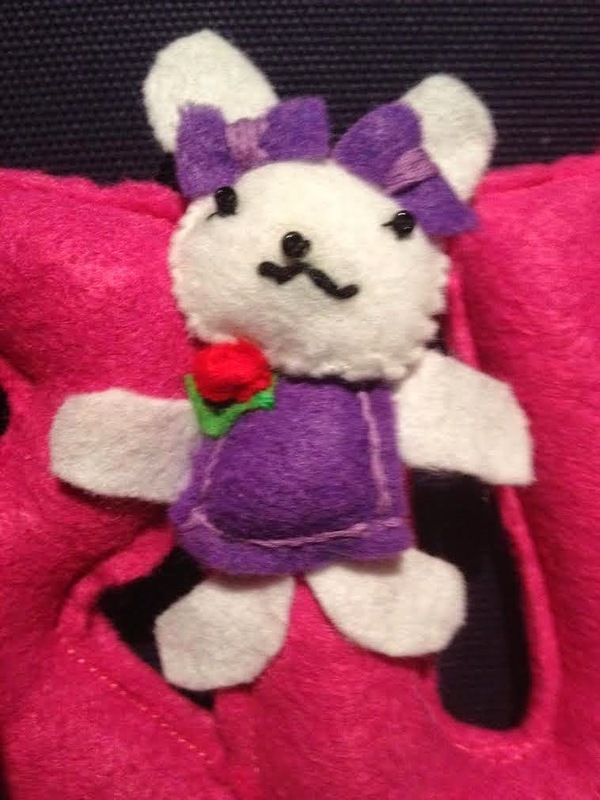 I have made all sorts of things but never made a buttonhole. My mother is a wonderful sewer and very good at button holes, so when I needed button holes on something I had made, Mum did them for me. Now I have a sewing machine that makes all types of button holes I am anxious to start making my own. 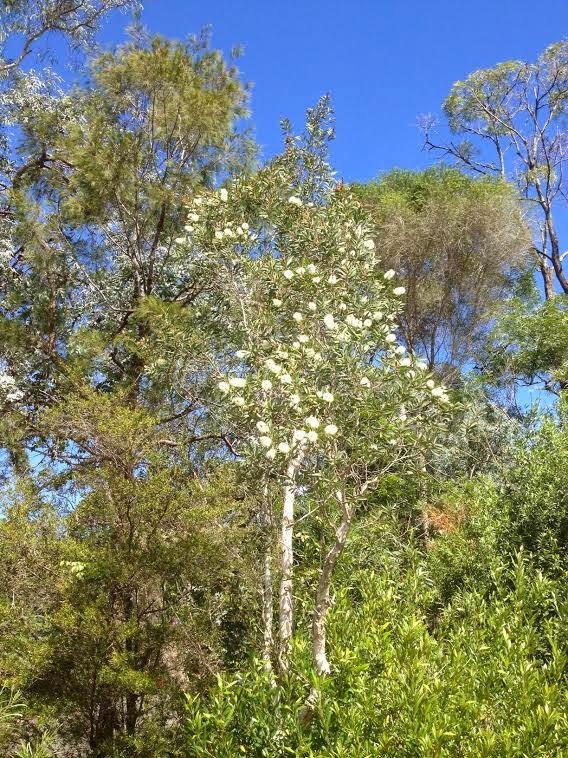 The paperbark trees in my front yard are blooming. 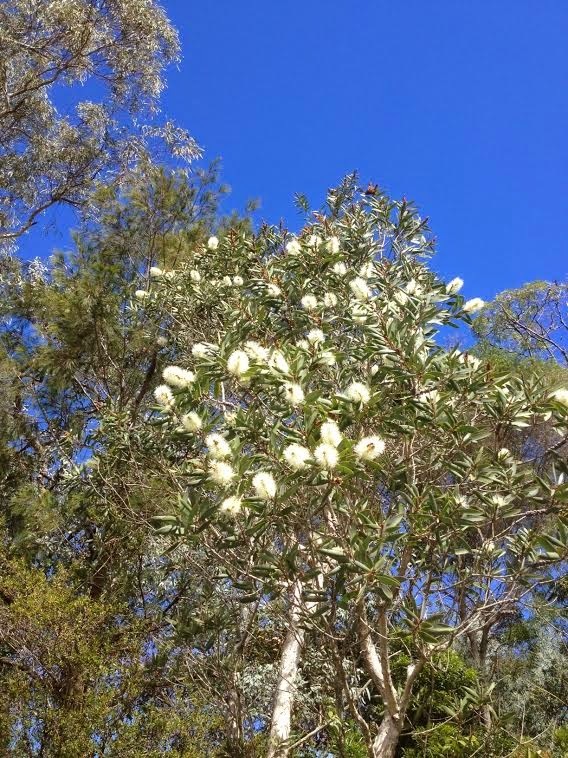 Sadly the blossoms are too far up to pick and put in a vase inside. 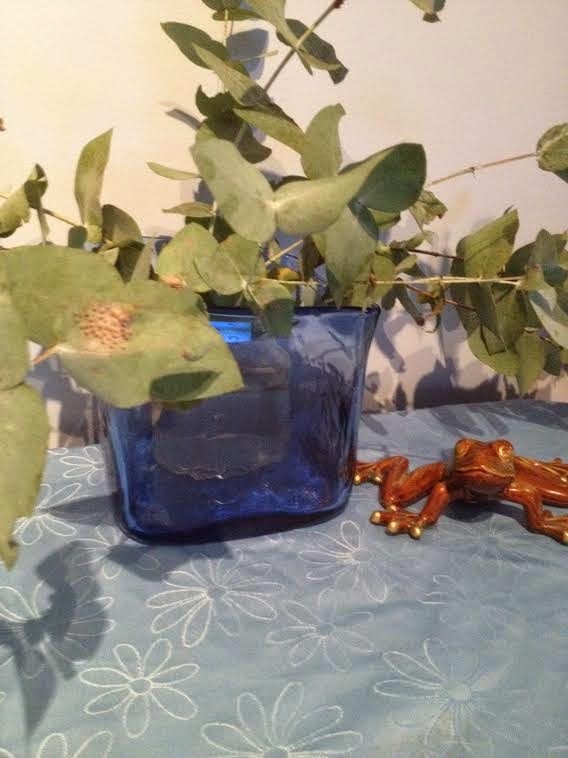 Mum bought me a lovely blue glass bowl. It sits perfectly on my table. 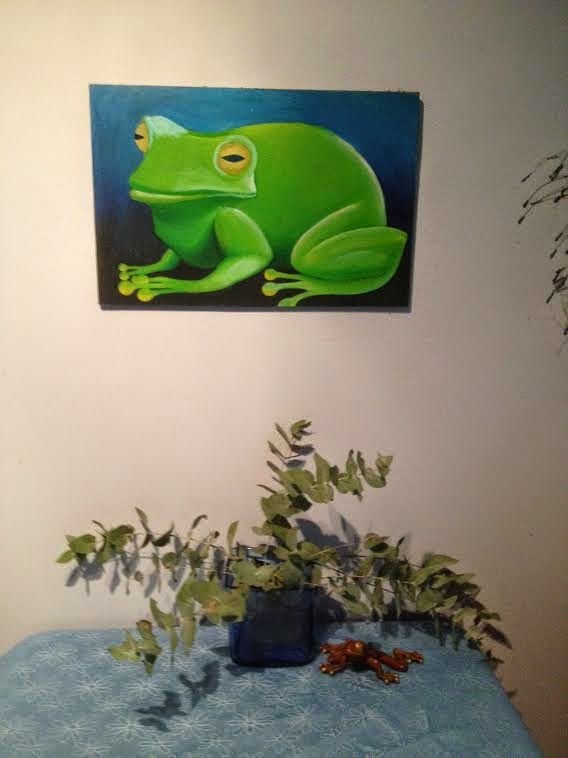 My daughter R painted the frog for me many years ago and she bought me the brown frog on the table.I have kept all the frogs both my daughters have bought me over the years. 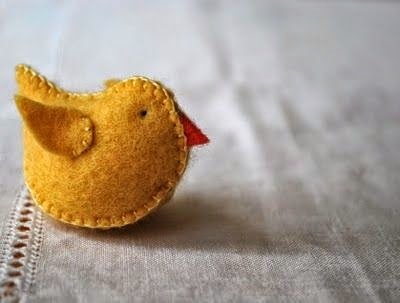 My next project is some little felt birds for P:-)'s 5 grandchildren for Easter. I hope to get 15 of these little birds made for Sunday as well as a carrot cake for Easter lunch with P:-)'s family on Sunday. 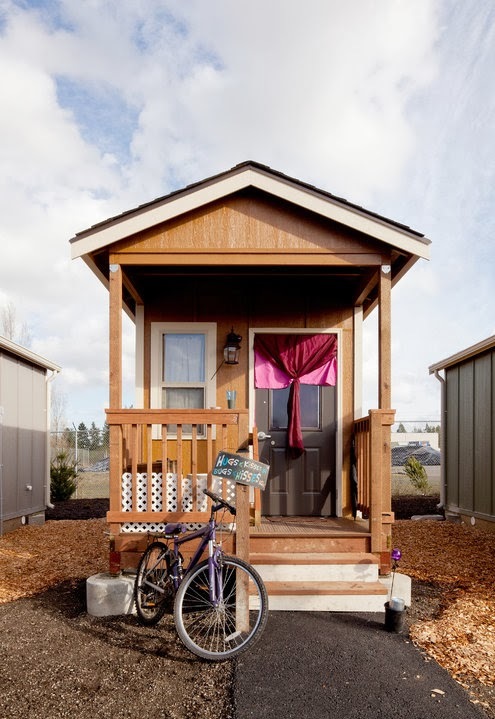 On Christmas Eve, Kevin Johnson received the following gifts: a bed and mattress, a blanket and sheets, a desk and chair, a toilet and sink, towels and washcloths, toothpaste and floss, and a brand-new house. Click here to read more. ..........by adding value to other’s lives, we get satisfaction. But that’s not all we get. Truth be told, we always get more whenever we give. The key to giving is simple: add value first without any expectation of receiving anything in return. Do this with enough frequency and you’ll get way more than you give. Click here to read more. 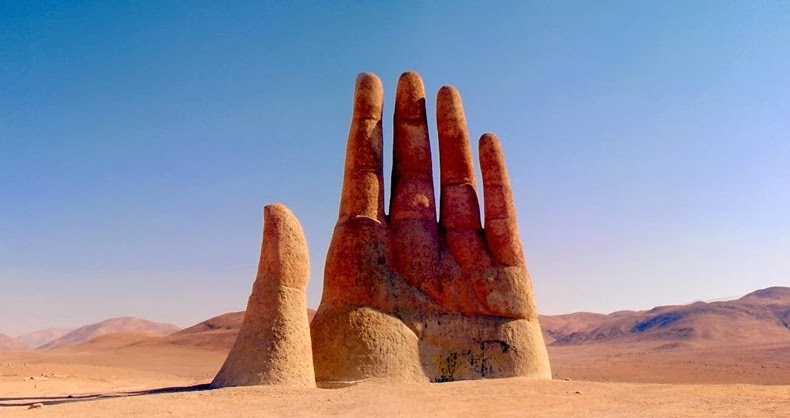 In the middle of the Atacama Desert, a giant hand rises from the ground like the remains of an ancient civilization. In reality, it’s a pretty modern sculpture – an art piece called “Mano del Desierto” and created by Chilean artist Mario Irarrázabal in honor of the victims of injustice and torture during the military regime in Chile. Click here to read more. What a productive time you are having. Have a wonderful Easter with your family. I hope we can catch up afterwards.